Along with a host of other challenges, such as environmental, political and economic crises, the world is experiencing a serious shortage of human shelter. Nonprofit institute Cal-Earth, the California Institute of Earth Art and Architecture in Southern California, seeks to create a world where every person can make a sustainable and safe eco home with their very own hands, using just the soil they stand on and a couple of inexpensive materials. 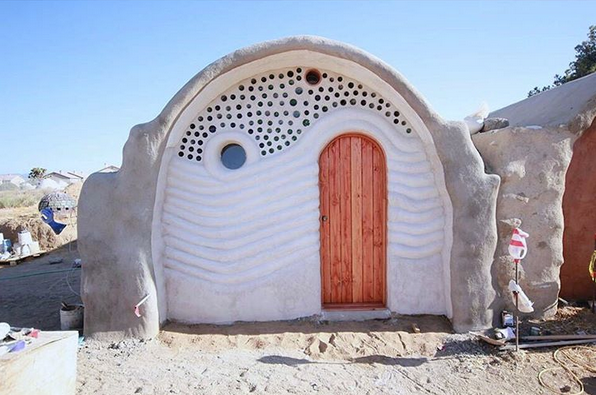 Cal-Earth’s mission is to teach the public how to build dome-shaped earth homes, dubbed superadobes, and whole ecologically sound communities, with local resources, from earth to sandbags to barbed wire. 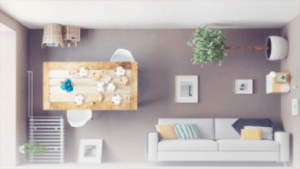 These homes are designed to meet stringent standards for not just safety (even the strict earthquake codes in California) and comfort but also energy efficiency, and – not to forget – beauty, as evidenced in these images here. 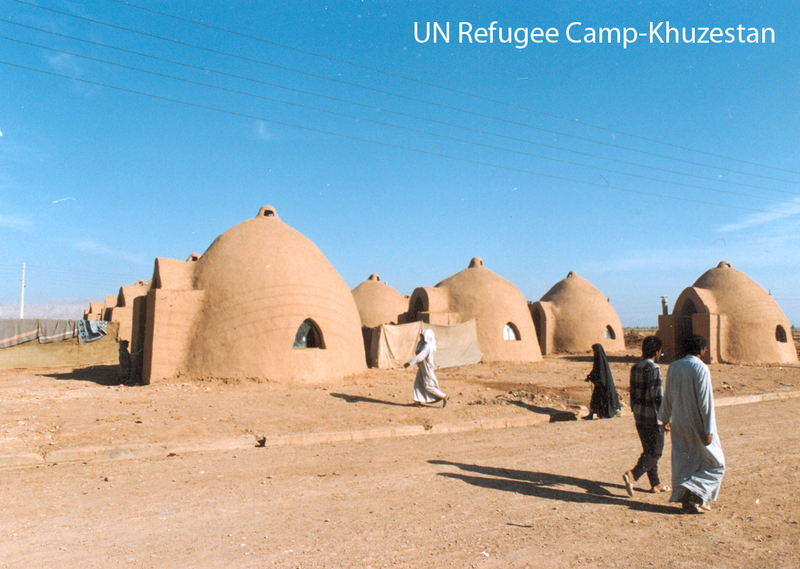 Their superadobe technology approach, which garnered the coveted Aga Khan Award for architecture, draws from founder Nader Khalili’s “vision of an architecture based on the natural elements of earth, water, air, and fire, and their unity at the service of humanity.” The Iranian took his inspiration from ancient earth building techniques in the Middle East. Online and at their educational and research institute in Hesperia, California, Cal-Earth (founded in 1991) teaches an international crew of interested parties through workshops and other programs, all with an eye towards sustainability and minimal environmental impact. 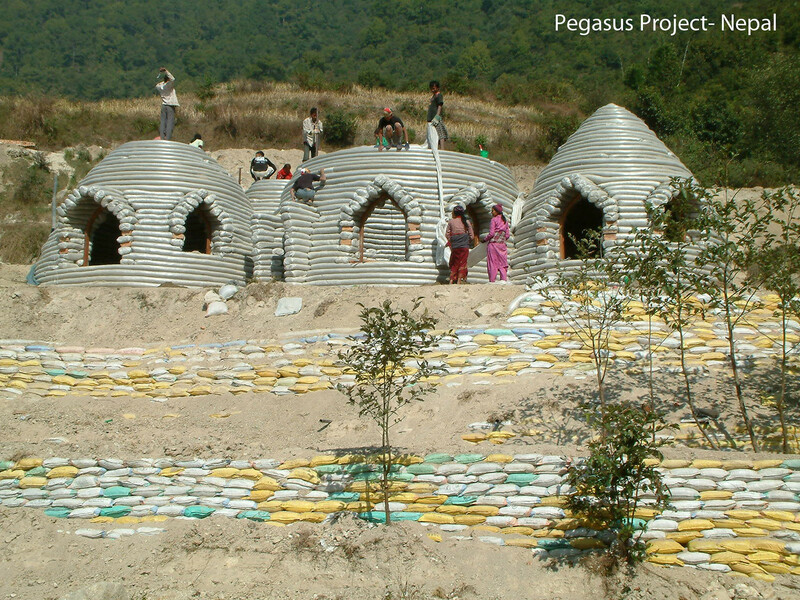 Graduates have aided people in more than 40 countries in building such beehive-shaped earth homes. 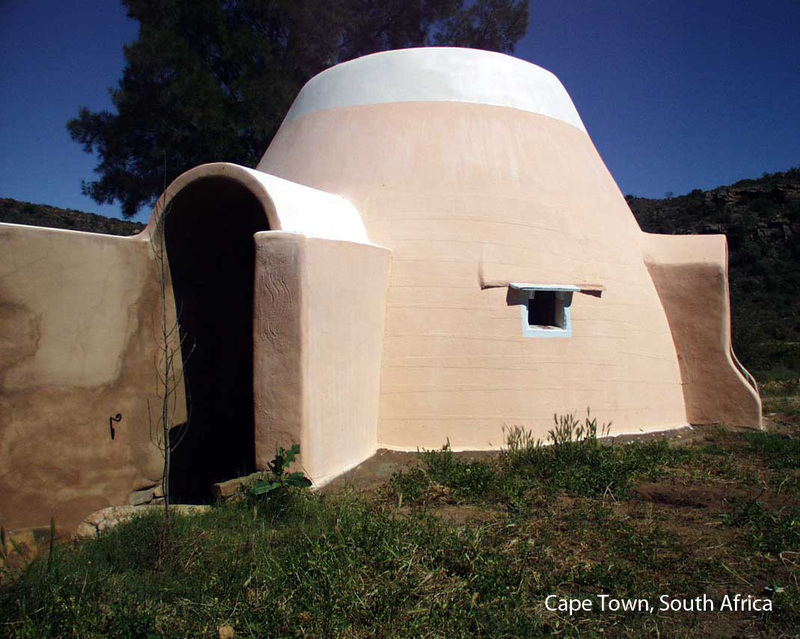 The sustainable architecture philosophy can be applied to both basic human shelters and contemporary homes and commercial buildings. Cal-Earth workshops cover such principles as soil, the concept of the arch, site planning, foundations, blueprint reading and much more. 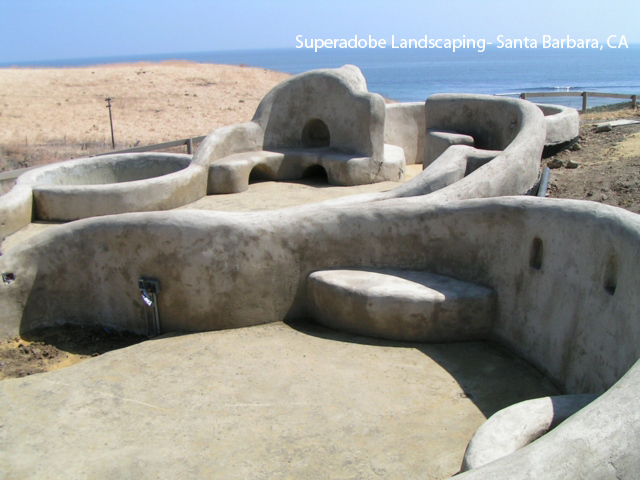 NASA, the United Nations and the international press have taken note of this innovative approach to traditional earth architecture. 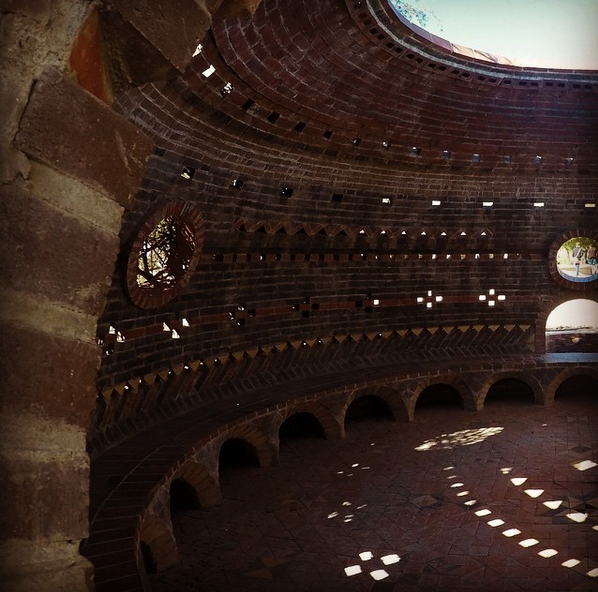 One cannot currently hire Cal-Earth architects to get a dome built. However, they will put you in touch with past alumni you can contract. One also cannot currently visit the domes. 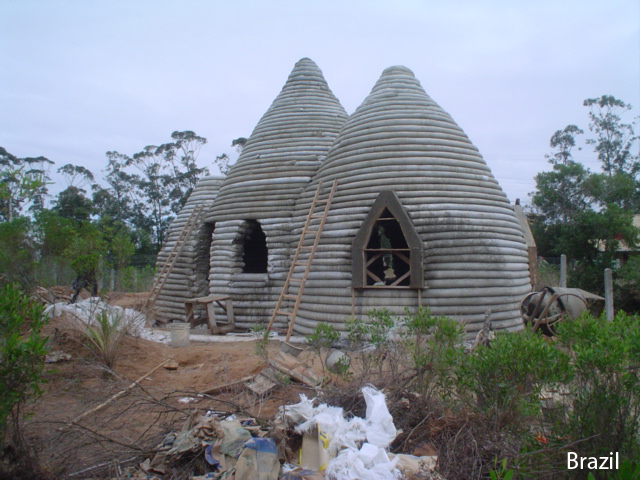 Instead, one can take the workshops and study onsite how to erect one’s own dome structure. Classes are on offer online, and open houses are available to the public. For more information, visit calearth.org as well as their social media sites at www.facebook.com, instagram.com/calearthinstitute and www.youtube.com. All images courtesy of Cal-Earth (except: feature story image and bottom two pics via Cal-Earth Instagram).